Dr. Sanders is currently Associate Professor of Management. He teaches organization and management theory, leadership, business and society, and human resources management in the undergraduate program and organizational development in the MBA program. Prior to his academic career Dr. Sanders served for three decades as an executive in the health care industry – primarily with a large integrated health care delivery system that operated multiple hospitals, ambulatory care, long term care, and managed care programs. 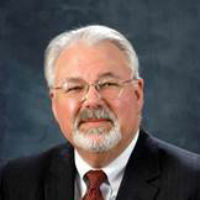 During his tenure he served as a hospital administrator, corporate senior vice president, and chief administrative officer. Dr. Sanders has a M.S. in Health Administration from the University of Alabama at Birmingham (UAB); an MBA from Samford University in Birmingham; and a Ph.D. from UAB with a concentrations in strategic management and health administration and he completed a doctoral major in organizational behavior at the University of Alabama (Tuscaloosa). Dr. Sanders’ primary research interests are in the areas of organizational innovation and adaptation, human capital development and deployment, leadership effectiveness, and management history and education. Dr. Sanders is active in scholarly contributions with several dozen academic presentations and publications and a number of awards for best papers, presentations, and reviews. He has received both the undergraduate and graduate UM teaching excellence awards and UM awards for contributions to information literacy, environmental sustainability, and service learning among others. He continues to contribute to management practice through work with a number of nonprofit organizations.